Selenium-containing Polymers: Redox responsive polymers have attracted wide interest for their promising applications in controllable encapsulation and delivery in physiological environments, where the redox process is constantly and widely present. A series of selenium-containing polymers, including main chain and side chain block copolymers, dendrimers and hyperbranched polymers, have been designed and synthesized for controlled self-assembly and disassembly under various responsive stimuli, which may act as new biomaterials for controlled drug delivery and gene therapy. Chen, H.; Gu, Z.; An, H.; Chen, C.; Chen, J.; Cui, R.; Chen, S.; Chen, W.; Chen, X.; Chen, X.; Chen, Z.; Ding, B.; Dong, Q.; Fan, Q.; Fu, T.; Hou, D.; Jiang, Q.; Ke, H.; Jiang, X.; Liu, G.; Li, S.; Li, T.; Liu, Z.; Nie, G.; Ovais, M.; Pang, D.; Qiu, N.; Shen, Y.; Tian, H.; Wang, C.; Wang, H.; Wang, Z.; Xu, H.*; Xu, J.; Yang, X.; Zhu, S.; Zheng, X.; Zhang, X.; Zhao, Y.; Tan, W.; Zhang, X.; Zhao, Y.: Precise Nanomedicine for Intelligent Therapy of Cancer. Sci. China Chem., 2018, 10.1007/s11426-018-9397-5. Xia, J.; Zhao, P.; Zheng, K.; Lu, C.; Yin, S.; Xu, H.*: Surface Modification Based on Diselenide Dynamic Chemistry: Towards Liquid Motion and Surface Bioconjugation. Angew. Chem. Int. Ed., 2018, doi.org/10.1002/anie.201810588. Fan, F.; Ji, S.; Sun, C.; Liu, C.; Yu, Y.; Fu, Y.; Xu, H.*: Wavelength-Controlled Dynamic Metathesis: A Light-Driven Exchange Reaction Between Disulfide and Diselenide Bonds. Angew. Chem. Int. Ed., 2018, 57, 16426. Xia, J.; Li, T.; Lu, C.; Xu, H.*: Selenium-containing Polymer: Perspectives toward Diverse Applications in both Adaptive and Biomedical Materials. Macromolecules, 2018, 51, 7435. Fan, F.; Gao, S.; Ji, S.; Fu, Y. *; Zhang, P.*; Xu, H.*: Gamma Radiation Responsive Side-chain Tellurium-containing Polymer for Cancer Therapy. Mater. Chem. Front., 2018, 2, 2109. Li, F.*; Yang, D.; Xu, H.*: Nonmetal Heteroatom Doped Carbon dots: Synthesis and Property. Chem. Eur. J., 2018, chem.201802793R1. Li, T.; Xiang, W.; Li, F.; Xu, H.*: Self-assembly Regulated Anticancer Activity of Platinum Coordinated Selenomethionine. Biomaterials, 2018, 157, 17. Zhou, W.; Li, H.; Xia, B.; Ji, W.; Ji, S.; Zhang, W.; Huang, W.*; Huo, F.*; Xu, H.*: Selenium-functionalized Metal-Organic Frameworks for Enzyme Mimics. Nano Research, 2018, 11, 5761. Ji, S.; Fan, F.; Sun, C.; Yu, Y.; Xu, H.*: Visible Light Induced Plasticity of Shape Memory Polymers. ACS Appl. Mater. Interfaces, 2017, 9, 33169. Wang, L.; Wang, W.; Cao, W.; Xu, H.*: Multi-hierarchical Responsive Polymers: Stepwise Oxidation of a Selenium- and Tellurium-Containing Block Copolymer with Sensitivity to both Chemical and Electrochemical Stimuli. Polym. Chem., 2017, 8, 4520. Li, F.; Li, T.; Sun, C.; Xia, J.; Jiao, Y.; Xu, H.*: Selenium-Doped Carbon Quantum Dots (Se-CQDs) for Free Radical Scavenging. Angew. Chem. Int. Ed., 2017, 56, 9910. Xia, J.; Li, F.; Ji, S.; Xu, H.*: Selenium-functionalized Graphene Oxide that Can Modulate the Balance of Reactive Oxygen Species. ACS Appl. Mater. Interfaces, 2017, 9, 21413. Wu, F.; Cao, W.; Xu, H.; Zhu, M.; Wang, J.; Ke, X. *: Treatment with a Seleniu-Platinum Compound Induced T-cell Acute Lymphoblastic Leukemia/lymphoma Cells Apoptosis through the Mitochondrial Signaling Pathway. Oncology Letters, 2017, 13, 1702. Li, F.; Li, T.; Sun, C.; Xia, J.; Xu, H.*: Near-Infrared Light Stimuli-responsive Synergistic Therapy Nanoplatforms Based on the Coordination of Tellurium-containing Block Polymer and Cisplatin for Cancer Treatment. Biomaterials, 2017, 133, 208. Ji, S.; El Mard, H.; Smet, M.; Dehaen, W.; Xu, H.*: Selenium Containing Macrocycles: Transformation between Se-N/Se-S/SeSe Bonds. Sci. China Chem., 2017, 60, 1191. Sun, C.; Ji, S.; Li, F.*; Xu, H.*: Diselenide-Containing Hyperbranched Polymer with Light-Induced Cytotoxicity. ACS Appl. Mater. Interfaces, 2017, 9, 12924. Zhou, W.; Wang, L.; Li, F.; Zhang, W.; Huang, W.*; Huo, F.*; Xu, H.*: Selenium-containing Polymer@metal-organic Frameworks Nanocomposites as an Efficient Multi-responsive Drug Delivery System. Adv. Funct. Mater., 2017, 27, 1605465. Xia, J.; Ji, S.; Xu, H.*: Diselenide Covalent Chemistry at the Interface: Stabilizing Asymmetric Diselenide-containing Polymer via Micelle Formation, Polym. Chem., 2016, 7, 6708. Cao, W.; Li, F.; Chen, R.; Xu, H.*: Tellurium-containing Nanoparticles for Controlled Delivery of Cisplatin Based on Coordination Interaction, RSC Adv., 2016, 6, 94033. Li, T.; Li, F.; Xiang, W.; Yi, Y.; Chen, Y.; Cheng, L.; Liu, Z. *; Xu., H.*: Selenium-containing Amphiphiles Reduced and Stabilized Gold Nanoparticles: Kill Cancer Cells via Reactive Oxygen Species, ACS Appl. Mater. Interfaces, 2016, 8, 22106. Fan, F.; Wang, L.; Li, F.; Fu, Y. *; Xu, H.*: Stimuli-Responsive Layer-by-Layer Tellurium-Containing Polymer Films for the Combination of Chemotherapy and Photodynamic Therapy. ACS Appl. Mater. Interfaces, 2016, 8, 17004. Wang, L.; Cao, W.; Xu, H.*: Tellurium-Containing Polymers: Towards Biomaterials and Optoelectronic Materials. ChemNanoMat, 2016, 2, 479. Ji, S.; Xia, J.; Xu, H.*: Dynamic Chemistry of Selenium: Se–N and Se–Se Dynamic Covalent Bonds in Polymeric Systems. ACS Macro Lett., 2016, 5, 78. Cao, W.; Wang, L.; Xu, H.*: Selenium/tellurium Containing Polymer Materials in Nanobiotechnology. Nano Today, 2015, 10, 717. Ji, S.; Cao, W.; Yu, Y. and Xu, H.*: Visible-Light-Induced Self-Healing Diselenide-Containing Polyurethane Elastomer. Adv. Mater., 2015, 27, 7740. Wang L.; Fan F.; Cao W. and Xu H.*: Ultra-sensitive ROS-responsive Coassemblies of Tellurium-Containing Molecules and Phospholipids, ACS Appl. Mater. Interfaces, 2015, 7, 16054. Cao, W.; Gu, Y.; Li, T.; Xu, H.*: Ultra-sensitive ROS-responsive Tellurium-containing Polymers. Chem. Commun., 2015, 51, 7069. Fang, R.; Xu, H.*; Cao, W.; Yang, L.; Zhang, X. *: Reactive Oxygen Species (ROS)-responsive Tellurium-containing Hyperbranched Polymer. Polym. Chem., 2015, 6, 2817. Ren, H.; Huang, Z.; Yang, H.; Xu, H.; Zhang, X.*. : Controlling the Reactivity of the Se-Se Bond by the Supramolecular Chemistry of Cucurbituril. ChemPhysChem, 2015, 16, 523. Liu, W.; Wang, J.; Yu, Y.; Chang, Y.; Tang, N.; Qu, H.; Wang, Y.; Pang, W.; Zhang, H.; Zhang, D.; Xu, H.; Duan, X.*. : Tuning the Resonant Frequency of Resonators Using Molecular Surface Self-assembly Approach. ACS Appl. Mat. Interfaces, 2015, 7, 950. Cao, W.; Wang, L.; Xu, H.*: Coordination Responsive Tellurium-containing Multilayer Film for Controlled Delivery. Chem. Commun., 2015, 51, 5520. Huang, X.; Fang, R.; Wang, D.; Wang, J.; Xu, H.*; Wang, Y. *; Zhang, X.: Tuning Polymeric Amphiphilicity via Se-N Interactions: towards One-step Double Emulsion for Highly Selective Enzyme Mimics. Small, 2015, 11, 1537. Li, T.; Yi, Y.; Xu, H.*: Selenium-containing Coordinating Assemblies with Selective Anti-cancer Activity: the Control of Reactive Oxygen Species. Acta Chim. Sinica, 2014, 72, 1079. Wang, L.; Cao, W.; Yi, Y.; Xu, H.*: Dual Redox Responsive Co-assemblies of Diselenide-containing Block Copolymers and Polymer Lipids. Langmuir, 2014, 30, 5628. Zeng, L.; Li, Y.; Li, T.; Cao, W.; Yi, Y.; Geng, W.; Sun, Z. *; Xu, H.*: Selenium-platinum Coordination Compounds as Novel Anticancer Drugs: Selectively Killing Cancer Cells via a ROS-mediated Apoptosis Route. Chem. Asian. J., 2014, 9, 2295. Cao, W.; Gu, Y.; Meineck, M.; Li, T.; Xu, H.*: Tellurium-containing Polymer Micelles: Competitive-Ligand-Regulated Coordination Responsive Systems. J. Am. Chem. Soc., 2014, 136, 5132. Ding, Y.; Yi, Y.; Xu, H.; Wang, Z.; Zhang, X. *: Redox-responsive Thermal Sensitivity Based on a Selenium-containing Small Molecule. Chem. Commun., 2014, 50, 2585. Cao, W.; Gu, Y.; Meineck, M.; Xu, H.*: The Combination of Chemotherapy and Radiotherapy towards More Efficient Drug Delivery. Chem. Asian. J., 2014, 9, 48 (Invitied Focus Review). Ji, S.; Cao, W.; Xu, H.*: A ROS Eliminating Nanocomposite Film Fabricated from Diselenide-Containing Polymer Micelles. Part. Part. Syst. Charact., 2013, 30, 1034. Miao, X.; Cao, W.; Zeng, W.; Wang, J.; Gao, J.; Yang, C.; Kong, D.*; Xu, H.*; Wang, L.; Yang, Z. *: Switchable Catalytic Activity: Selenium-containing Peptides with Redox Controllable Self-assembly Property. Angew. Chem. Int. Ed., 2013, 52, 7781. Ren, H.; Wu, Y.; Li, Y.; Cao, W.; Sun, Z. *; Xu, H.*; Zhang, X.: Visible Light Induced Disruption of Diselenide-Containing LbL Films: Toward Combination of Chemotherapy and Photodynamic Therapy. Small, 2013, 9, 3981. Yi, Y.; Xu, H.*; Wang, L.; Cao, W.; Zhang, X. *: A Novel Dynamic Covalent Bond of Se-N: Towards Controlled Self-Assembly and Disassembly. Chem. Eur. J., 2013, 19, 9506. Cao, W.; Zhang, X.; Miao, X.; Yang, Z. *; Xu, H.*: Gamma-ray Responsive Supramolecular Hydrogel Based on Diselenide-containing Polymer and Peptide. Angew. Chem. Int. Ed., 2013, 52, 6233. Xu, H.*; Cao, W.; Zhang, X. *: Selenium-containing Polymers: Promising Biomaterials for Controlled Release and Enzyme Mimics. Acc. Chem. Res., 2013, 46, 1647. Xu, H.*; Chen, D.; Wang, S.; Zhou, Y.; Sun, J.; Zhang, W.; Zhang, X. *: Macromolecular Self-Assembly and Nanotechnology in China. Phil. Trans. R. Soc. A, 2013, 371, 20120305. Huang, X.; Qian, Q.; Zhang, X.; Du, W.; Xu, H.; Wang, Y. *: Assembly of Carbon Nanotubes on Polymer Particles: Towards Rapid Shape Change by Near-Infrared Light. Part. Part. Syst. Charact., 2013, 30, 235. Han, P.; Li, S.; Cao, W.; Li, Y.; Sun, Z.; Wang, Z.; Xu, H.*: Red Light Responsive Diselenide-containing Block Copolymer Micelles. J. Mater. Chem. B, 2013, 1, 740. Cao, W.; Li, Y.; Yi, Y.; Ji, S.; Zeng, L.; Sun, Z. *; Xu, H.*: Coordination-Responsive Selenium-Containing Polymer Micelles for Controlled Drug Release. Chem. Sci., 2012, 3, 3403. Yi, Y.; Fa, S.; Cao, W.; Zeng, L.; Wang, M.; Xu, H.*; Zhang, X.: Fabrication of Well-Defined Crystalline Azacalixarene Nanosheets Assisted by Se•••N Non-Covalent Interaction. Chem. Commun., 2012, 48, 7495. Tan, X.; Yu, Y.; Liu, K.; Xu, H.; Liu, D.; Wang, Z.; Zhang, X. *: Single-Molecule Force Spectroscopy of Selenium-Containing Amphiphilic Block Copolymer: Toward Disassembling the Polymer Micelles. Langmuir, 2012, 28, 9601. Meng, F.; Xu, H.; Qi, Y.; Xu, K.; Song, X.; Niu, S.; Li, J. *: Preliminary Studies on X-Ray-sensitive Liposome. Chem. Res. Chinese Universities, 2012, 28, 319. Wu, G.; Verwilst, P.; Xu, J.; Xu, H.; Wang, R.; Smet, M.; Dehaen, W.; Faul, C. F. J.; Wang, Z.; Zhang, X. *: Bolaamphiphiles Bearing Bipyridine as Mesogenic Core: Rational Exploitation of Molecular Architectures for Controlled Self-Assembly. Langmuir, 2012, 28, 5023. Li, S.; Han, P.; Xu, H.*: Self-healing Polymeric Materials. (in Chinese) Progress in Chemistry, 2012, 24, 1346. Xu, H.*; Schönhoff, M.; Zhang, X.: Unconventional Layer-by-Layer Assembly: Surface Molecular Imprinting and Its Applications. Small, 2012, 8, 517. Han, P.; Li, S.; Wang, C.; Xu, H.; Wang, Z.; Zhang, X. *; Thomas, J.; Smet, M.: UV-Responsive Polymeric Superamphiphile Based on a Complex of Malachite Green Derivative and a Double Hydrophilic Block Copolymer. Langmuir, 2011, 27, 14108. Liu, Z.; Yi, Y.; Gauczinski, J.; Xu, H.; Schönhoff, M.*; Zhang, X. *: Surface Molecular Imprinted Layer-by-Layer Film Attached to a Porous Membrane for Selective Filtration. Langmuir, 2011, 27, 11806. Ma, N.; Xu, H.*; An, L.; Li, J.; Sun, Z.; Zhang, X. *: Radiation-Sensitive Diselenide Block Copolymer Micellar Aggregates: Toward the Combination of Radiotherapy and Chemotherapy. Langmuir, 2011, 27, 5874. Ding, Y.; Chen, S.; Xu, H.; Wang, Z.; Zhang, X. *: Reversible Dispersion of Single-Walled Carbon Nanotubes Based on a CO2-Responsive Dispersant. Langmuir, 2010, 26, 16667. Han, P.; Ma, N.; Ren, H.; Xu, H.*; Li, Z.; Wang, Z. *; Zhang, X.: Oxidation-Responsive Micelles Based on a Selenium-Containing Polymeric Superamphiphile. Langmuir, 2010, 26, 14414. Wang, Y.; Han, P.; Wu, G.; Xu, H.; Wang, Z.; Zhang, X. *: Selectively Erasable Multilayer Thin Film by Photoinduced Disassembly. Langmuir, 2010, 26, 9736. Gao, J.; Liu, Y.; Xu, H.*; Wang, Z.; Zhang, X. *: Biostructure-like Surfaces with Thermally Responsive Wettability Prepared by Temperature Induced Phase Separation Micro-molding. Langmuir, 2010, 26, 9673. Wang, C.; Chen, Q.; Xu, H.; Wang, Z.; Zhang, X. *: Photo-responsive Supramolecular Amphiphiles for Controlled Self-assembly of Nanofibers and Vesicles. Adv. Mater. 2010, 22, 2553. Ma, N.; Li, Y.; Xu, H.*; Wang, Z.; Zhang, X. *: Dual Redox Responsive Assemblies Formed from Diselenide Block Copolymers. J. Am. Chem. Soc., 2010, 132, 442. Xu, H.*; Huskens, J. *: Versatile Stamps in Microcontact Printing: Transferring Inks by Molecular Recognition and from Ink Reservoirs. Chem. Eur. J., 2010, 16, 2342. Wang, C.; Guo, Y.; Wang, Y.; Xu, H.; Wang, R.; Zhang, X. *: Supramolecular Amphiphiles Based on Water-soluble Charge Transfer Complex: Fabrication of Ultra-long Nanofiber with Tunable Straightness. Angew. Chem. Int. Ed., 2009, 48, 8962. Wang, Y.; Zhang, M.; Moers, C.; Chen, S.; Xu, H.; Wang, Z.; Zhang, X. *; Li, Z.: Block Copolymer Aggregates with Photo-responsive Switches: Towards a Controllable Supramolecular Container. Polymer, 2009, 50, 4821. Wang, C.; Guo, Y.; Wang, Y.; Xu, H.; Zhang, X. *: Redox Responsive Supramolecular Amphiphiles Based on Reversible Charge Transfer Interactions. Chem. Commun., 2009, 5380. Xu, H.*; Gomez-Casado, A.; Liu, Z.; Reinhoudt, D. N.; Lammertink, R. G. H.*; Huskens, J. *: Porous Multilayer-Coated PDMS Stamps for Protein Printing. Langmuir, 2009, 25, 13972. Wang, Y.; Han, P.; Xu, H.; Wang, Z.; Zhang, X. *; Kabanov, A. V.: Photocontrolled Self-assembly and Disassembly of Block Ionomer Complex Vesicles: A Facile Approach toward Supramolecular Polymer Nanocontainers. Langmuir, 2010, 26, 709. Wan, P.; Wang, Y.; Jiang, Y.; Xu, H.; Zhang, X. *: Fabrication of Reactivated Biointerface for Dual-Controlled Reversible Immobilization of Cytochrome c. Adv. Mater., 2009, 21, 4362. Wu, C.; Xu, H.; Otto, C.; Reinhoudt, D. N.; Lammertink, R. G. H.; Huskens, J.; Subramaniam, V.*; Velders, A. H.*: Porous Multilayer-Coated AFM Tips for Dip-Pen Nanolithography of Proteins. J. Am. Chem. Soc., 2009, 131, 7526. Zhang, Y.; Yu, Y.; Jiang, Z.; Xu, H.; Wang, Z.; Zhang, X. *; Oda, M.; Ishizuka, T.; Jiang, D.*; Chi, L.; Fuchs, H.: Single-Molecule Study on Intermolecular Interaction between C60 and Porphyrin Derivatives: Toward Understanding the Strength of the Multivalency. Langmuir, 2009, 25, 6627. Jiang, Y.; Wan, P.; Xu, H.; Wang, Z.; Zhang, X. *; Smet, M.: Facile Reversible UV-Controlled and Fast Transition from Emulsion to Gel by Using a Photoresponsive Polymer with a Malachite Green Group. Langmuir, 2009, 25, 10134. Wang, Y.; Xu, H.; Zhang, X. *: Tuning the Amphiphilicity of Building Blocks: Controlled Self-assembly and Disassembly for Functional Supramolecular Materials. Adv. Mater., 2009, 21, 2849. Gao, J.; Liu, Y.; Xu, H.*; Wang, Z.; Zhang, X. *: Mimicking Biological Structured Surfaces by Phase Separation Micromolding. Langmuir, 2009, 25, 4365. Xu, H.; Ling, X.; van Bennekom, J.; Duan, X.; Ludden, M. J. W.; Reindoudt, D. N.; Wessling, M.; Lammertink, R. G. H.*; Huskens, J. *: Microcontact Printing of Dendrimers, Proteins, and Nanoparticles by Porous Stamps. J. Am. Chem. Soc., 2009, 131, 797. Wang, C.; Yin, S.; Chen, S.; Xu, H.; Wang, Z.; Zhang, X. *: Controlled Self-Assembly Manipulated by Charge-Transfer Interactions: From Tubes to Vesicles. Angew. Chem. Int. Ed., 2008, 47, 9049. Gao, J.; He, Y.; Xu, H.; Song, B.; Zhang, X. *; Wang, Z.; Wang, X. *: Azobenzene-containing Supramolecular Polymer Films for Laser-Induced Surface Relief Gratings. Chem. Mater., 2007, 19, 14. Jiang, Y.; Wang, Z.; Xu, H.; Chen, H.; Zhang, X. *; Smet, M.; Dehaen, W.; Hirano, Y.; Ozaki, Y.: Investigation into pH-responsive Self-Assembled Monolayers of Acylated Anthranilate Terminated Alkane Thiol on a Gold Surface. Langmuir, 2006, 22, 3715. Wang, Y.; Xu, H.; Ma, N.; Wang, Z.; Zhang, X. *; Liu, J.; Shen, J.: Block Copolymer Micelles as Matrixes for Incorporating Diselenide Compound: Water-soluble Glutathione Peroxidase Mimic Fine-tuned by Ionic Strength. Langmuir, 2006, 22, 5552. Xu, H.; Wang, Y.; Wang, Z. *; Liu, J.; Smet, M.*; Dehaen, W.: Dendritic Tellurides Act as Antioxidant. Chinese Science Bulletin, 2006, 51, 2315. Xu, H.; Gao, J.; Wang, Y.; Wang, Z.; Smet, M.*; Dehaen, W.; Zhang, X. *: Hyperbranched Polyselenides as Glutathione Peroxidase Mimics. Chem. Commun., 2006, 796. Jiang, Y.; Wang, Z.; Yu, X.; Shi, F.; Xu, H.; Zhang, X. *: Self-Assembled Monolayers of Dendron Thiols for Electrodeposition of Gold Nanostructures: Toward Fabrication of Superhydrophobic/Superhydrophilic Surfaces and pH-Responsive Surfaces. Langmuir, 2005, 21, 1986. Huo, F.; Xu, H.; Zhang, L.; Fu, Y.; Wang, Z.; Zhang, X. *: Hydrogen-bonding Based Multilayer Assemblies by Self-deposition of Dendrimer. Chem. Commun., 2003, 874. 8th International Symposium on Polymer Chemistry (PC2018), Changchun, China, June 2018, “Responsive Se-containing Polymers”. 31th Chinese Chemical Society Congress, Interdisciplinary and Frontiers of Chemistry division, Hangzhou, China, May 2018, “Responsive Selenium/Tellurium-containing Polymer Assemblies”. International Conference on Organic and Polymer Synthesis (ICOPS), Guangzhou, China, April 2018, “Responsive Se-containing Polymers”. The 15th Pacific Polymer Conference (PPC-15), Xiamen, China, December 2017, “Responsive Se-containing Polymer”. Tsinghua-US Polymer Symposium 2017, Tsinghua University, December 2017, “Dynamic Covalent Chemistry of Se-containing Polymers”. Annual Chinese Polymer Congress, Molecular self-assembly and supramolecular polymer division, Chengdu, China, October 2017, Co-Chair. Annual Chinese Polymer Congress, Polymer Education division, Chengdu, China, October 2017, “Novel Design for Polymer Chemistry Lab Course”. ChinaNANO 2017, Beijing, China, September 2017, “Dynamic Covalent Chemistry of Se-containing Polymers”. The 3rd International Symposium on Polymer Ecomaterials (PEM2017), Nantong, China, June 2017, “Se/Te-containing Polymers”. 1st Tsinghua-UBC Joint Symposium on Frontiers of Chemical Science, Tsinghua University, May 2017, “Dynamic Covalent Chemistry of Se-containing Polymers”. CALM TALK, Donghua University, China, January 2017, “Responsive Se/Te-containing Polymers”. Poling Youth Lecture, Nankai University, China, December 2016, “Responsive Se/Te-containing Polymers”. Mini-Workshop on Functional Soft Matter (Tsinghua-MPI Germany), Tsinghua University, November 2016, “Dynamic covalent chemistry of Selenium-containing polymers”. 30th Chinese Chemical Society Congress, Supramolecular Organization and Soft Materials Division, Dalian, China, July 2016, “Responsive Tellurium-containing Polymer Assemblies”. Qiushi Lecture, Zhejiang University, Hangzhou, China, March 2016, “Responsive Tellurium-containing Polymer Assemblies”. 251st ACS National Meeting and Exposition, San Diego, CA, USA, March 2016, “ROS responsive Se/Te-containing Polymers”. 4th Sino-French workshop on macromolecules and soft matter, Strasbourg, France, October 2015, “ROS responsive Se/Te-containing Polymers”. Pacifichem 2015, Hawaii, USA, December 2015, “ROS responsive Selenium-containing Polymers”. Annual Chinese Polymer Congress, Molecular self-assembly and supramolecular polymer division, Suzhou, China, October 2015, “ROS responsive Se/Te-containing polymers”. (Co-Chair). ChinaNANO 2015, Beijing, China, September 2015, “ROS responsive Se/Te-containing polymers”. East Asian Symposium on Polymers for Advanced Technology (EASPAT 2015), Awaji, Hyogo, Japan, July 2015, “ROS responsive Se/Te-containing polymers”. 1st Youth Forum for Collaborative Innovation Center for New Materials Creation and Transformation, Changchun, China, July 2015, “ROS responsive Selenium-containing polymers”. 13th International Conference of Polymers for Advanced Technologies (PAT2015), Hangzhou, China, June 2015, “ROS responsive Se/Te-containing polymers”. ACS AMI Symposium, Beijing, China, April 2015, “ROS responsive Selenium-containing polymers”. International Conference on Nanomedicine and NanoBiotechnology (ChinaNanomedicine 2015), Hangzhou, China, April 2015, “ROS responsive Selenium-containing polymers”. 3rd Gold Brick Symposium for Chemistry and Materials, Beijing, China, December 2014, “Dynamic Covalent Chemistry of Se-containing Bonds”. 8th China-Japan Joint Symposium on Functional Supramolecular Architectures, Tianjin, China, December 2014, “ROS responsive Selenium-containing polymers”. 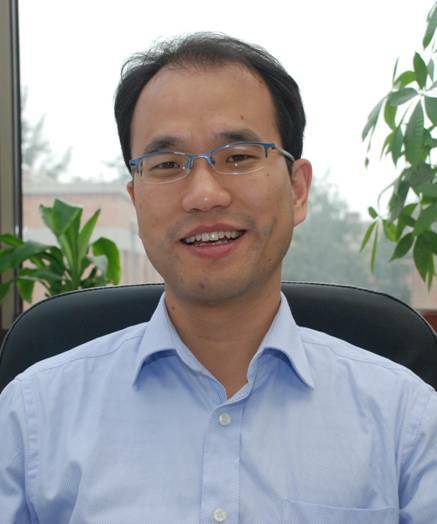 Frontiers Forum for Functional Polymers, Shanghai Jiaotong University, China, November 2014, “Responsive Selenium-containing polymers”. Workshop for Nano/Micro Fabrication Chemistry, Jilin University, Changchun, China, October 2014, “ROS Responsive Selenium-containing polymers”. 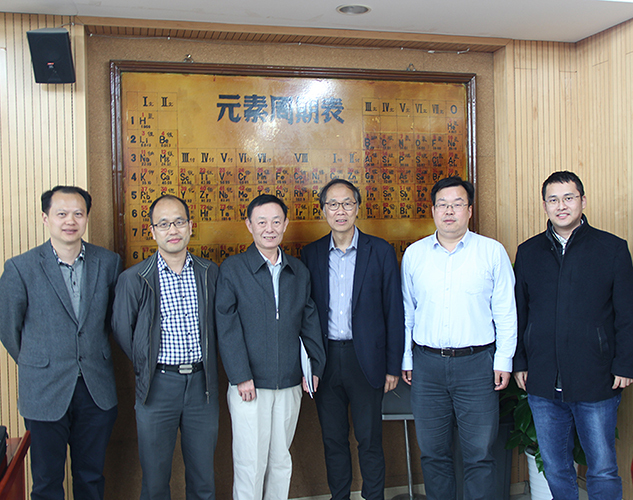 1st Tsinghua-Delft Bilateral Workshop on Functional Materials, Tsinghua University, Beijing, China, October 2014, “ROS Responsive Selenium-containing polymers”. 5th Sino-German Frontiers of Chemistry Symposium, Berlin, Germany, September 2014, “Diselenide-containing polymer assemblies for the combination of chemotherapy and radiotherapy”. Workshop on Polymer Crystalline and Supramolecular Structures (the Mainland, Taiwan and Hong Kong), Changchun, China, August 2014, “Selenium-containing Polymers: A Promising New Biomaterial?”. 29th Chinese Chemical Society Congress, Supramolecular Organization and Soft Materials Division, Chengdu, China, August 2014, “Dynamic Covalent Chemistry of Diselenide Bonds”. 1st Tsinghua-Alberta Joint Workshop, Tsinghua University, Beijing, China, August 2014, “ROS Responsive Selenium-containing polymers”. University of Science and Technology of China, Hefei, China, April 2014, “Se-containing Polymer Assemblies”. Frontiers for Optoelectronic, Bio and Energy Materials, Tianjin, China, December 2013, “Responsive Selenium-containing Polymer Assemblies”. University of Leuven, Belgium, December 2013, “Selenium-containing Polymers: A Promising New Biomaterial?”. Eindhoven University of Technology, the Netherlands, December 2013, “Selenium-containing Polymers: A Promising New Biomaterial?”. 3rd CCS-PD/ACS-PMSE Joint Symposium on Polymers (Beijing), China, October 2013, “Selenium-containing Polymers: A Promising New Biomaterial?”. Annual Chinese Polymer Congress, Molecular self-assembly and supramolecular polymer division, Shanghai, China, October 2013, “Responsive Selenium-containing Polymer Assemblies”. ChinaNANO 2013, Beijing, China, September 2013, “Gamma-ray Responsive Selenium-containing Polymer Assemblies”. 1st Tsinghua-Bristol Joint Nanoscience Symposium, Tsinghua University, Beijing, China, September 2013, “Redox responsive selenium-containing polymer assemblies”. 3rd Fudan-Warwick Macromolecular Symposia: Extending the UK-China Network, Jiashan, China, July 2013, “Selenium-containing Polymers: A Promising New Biomaterial?”. 1st Asian conference for “MONODUKURI” Strategy by Synthetic Organic Chemistry (ACMS), Okinawa, Japan, July 2013, “Selenium-containing Polymers: Promising Biomaterials for Controlled Release”. 7th International Conference on Materials for Advanced Technologies (ICMAT2013), Singapore, June 2013, “Diselenide-containing functional nanocomposite films”. 6th China-Japan Joint Symposium on Functional Supramolecular Architectures, Okazaki, Japan, January 2013, “Selenium-containing Polymers: A Promising New Biomaterial”. “Frontiers on Optoelectronic, Bio and Energy Materials”, Shanghai, China, December 2012, “Selenium-containing Polymers: A Promising New Biomaterial”. Nankai University, Tianjin, China, October 2012, “Selenium-containing Polymers for Controlled Self-assembly and Disassembly”. 3rd Sino-French Bilateral Seminar on Macromolecules and Soft Matter, Hefei, China, September 2012, “Selenium-containing Polymers: From Molecular Design to Controlled Self-assembly and Disassembly”. 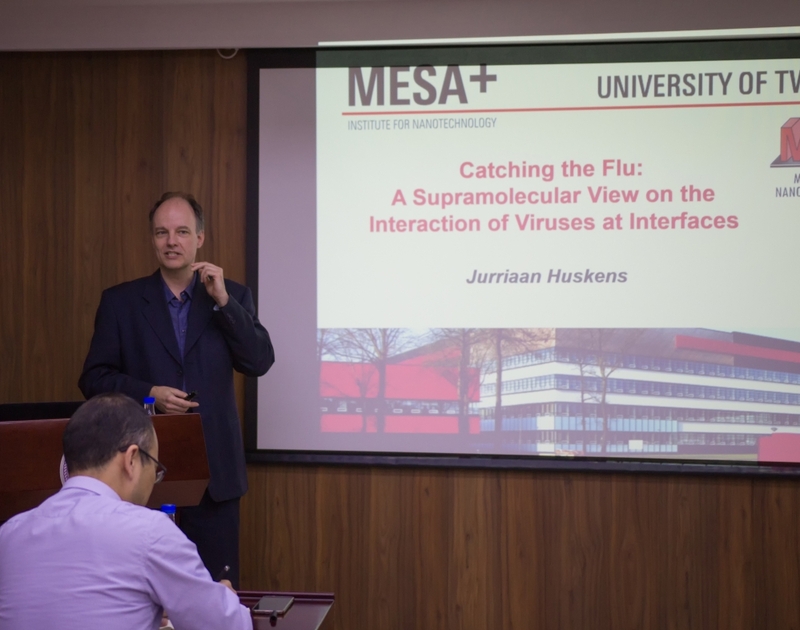 4th Sino-German Frontiers of Chemistry Symposium, Beijing, China, September 2012, “Stimuli-responsive Selenium-containing Polymer Assemblies”. University of Bristol, Bristol, UK, July 2012, “Selenium-containing Polymers: From Molecular Design to Controlled Self-assembly and Disassembly”. Tsinghua-Singapore Workshop of Emerging Materials, Beijing, China, June 2012, “Selenium-containing polymers: from molecular design to controlled self-assembly and disassembly”. SPSJ (The Society of Polymer Science Japan) symposium, Yokohama, Japan, May 2012, “Selenium-containing Polymers: from Molecular Design to Controlled Self-assembly and Disassembly”. Frontiers of Supramolecular Polymer Science and Materials of China, Hangzhou, China, May 2012, “Selenium Chemistry and Supramolecular Polymers”. Beijing University of Chemical Technology, Beijing, China, May 2012, “Selenium-containing Polymers for Controlled Self-assembly”. 28th Chinese Chemical Society Congress, Supramolecular Organization and Soft Materials Division, Chengdu, China, April 2012, “Selenium-containing Polymers for Controlled Self-assembly”. Joint Symposium between Wuhan National Laboratory for Optoelectronics and Tsinghua University, Wuhan, China, November 2011, “Stimuli-responsive Selenium-containing Polymer Assemblies”. 5th China-Japan Joint Symposium on Functional Supramolecular Architectures, Beijing, China, October 2011, “Stimuli-responsive Selenium-containing Polymers”. 2nd Unilever-RSC International Symposium on Functional Materials Science, Beijing, China, October 2011, “Stimuli-responsive Selenium-containing Polymers”. Joint Symposium for Biomaterials and Self-assembly between Changchun Institute of Applied Chemistry, CAS and Tsinghua University, Changchun, China, July 2011, “Selenium-containing Polymers”. 3rd Sino-German Frontiers of Chemistry Symposium, Satellite Meeting-Materials Chemistry, Konstanz, Germany, August 2010, “Porous Stamps for Microcontact Printing”. Workshop on Polymer Crystalline and Supramolecular Structures (the Mainland, Taiwan and Hong Kong), Zhengzhou, China, August 2010, “Selenium-containing Redox-responsive Polymers”. 4th Japan-China Joint Symposium on Functional Supramolecular Architectures, Changchun, China, July 2010, “Selenium-containing Redox-responsive Polymers”. 27th Chinese Chemical Society Congress, Supramolecular Organization and Soft Materials Division, Xiamen, China, June 2010, “Porous Stamps for Microcontact Printing”. 2nd Sino-Canadian Conference of Advanced Materials, Suzhou, China, May 2010, “Selenium-containing Redox-responsive Polymers”. Nanyang Technological University, Singapore, February 2010, “Porous Stamps for Microcontact Printing”. Young Scholar Workshop on Polymer Science, Suzhou, China, November 2009, “Porous Stamps for Microcontact Printing”. University of Science and Technology of China, Hefei, China, November 2009, “Multi-scale and Multi-responsive Polymer Assemblies”. 3rd Japan-China Joint Symposium on Functional Supramolecular Architectures, Hokkaido, Japan, August 2009, “Porous Stamps for Transfer of Nanoparticles and Proteins”. CAS Workshop on DNA Nanotechnology, Beijing, China, July 2009, “Porous Stamps for Transfer of Nanoparticles and Proteins”. 1st Young Scholar Workshop on Supramolecular Systems, Changchun, China, January 2009, “Porous Stamps for Microcontact Printing”.